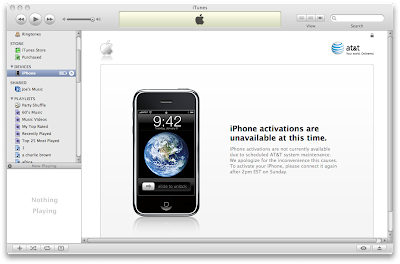 Get a new iPhone today, come back tomorrow to activate it. That's a tad disappointing. On a side note, Phil Schiller was in the Apple Store, today, while we were picking up the phone. Most of the employees definitely did not recognize him. Excuse for that I interfere … here recently. But this theme is very close to me. I can help with the answer. Write in PM. ciallis prices buy online cheap Do you want a fresh joke from net? What did the fish say when he hit a concrete wall? "Dam."